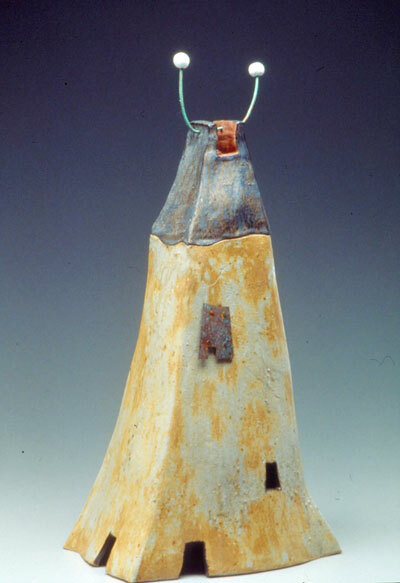 My sculptures are hand constructed using slabs of natural and oxide colored stoneware and porcelain. The elaborate embellishment is achieved with cutouts, press blocks, stamps, slips, and hand altered extrusions. 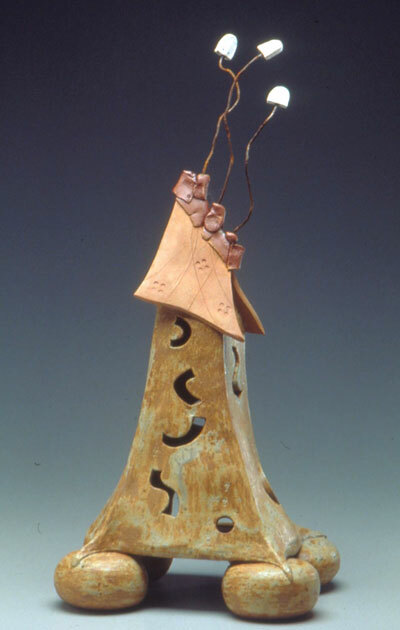 After the lengthy and painstaking construction process, each piece is slowly air-dried, bisque fired, sanded, glazed, burnished and reduction fired to 2350 degrees. Occasionally a cold finish is applied.